Kate Dundas (MN; MCN) has worked at the university since 1997 in various academic capacities and roles initially within the School of Nursing and in the School of Medicine and Public Health since 2008, developing and teaching innovative curriculum across Allied Health, Education and Medicine in both undergraduate and postgraduate programs. Ms Dundas’ background as a clinician was in critical care before moving into staff and student clinical education within Hunter New England Health and conjointly with the University during the 1990's. Concurrently as part of her role she set up medical facilities for the Singleton Safehaven assisting Kosovar refugees during 1999. This rolled into similar positions for the Department of Immigration at Curtin and Woomera Immigration and Reception Processing Centres looking after the health needs of thousands of refugees between late 1999 and 2002. Upon returning to Newcastle in 2002 she managed and evaluated the heart failure arm of the Chronic Disease Management Project rolled out across Hunter New England Health and concurrently worked in general practice til 2005 managing child and women's health as well as chronic diseases; specifically, diabetes, asthma and cardiovascular disease. These undergraduate public health courses and beautiful insights into studies of public health encompassing population health and health promotion. Other responsibilities include facilitation of public health modules within other undergraduate education courses (PUBH1020 and PUBH1030). These postgraduate courses provide an introduction to the theory and practice of health promotion right through to planning and evaluation for quality health policy, research and practice. In addition to these roles, Ms Dundas facilitates small groups of students completing their Health Equity Selective (MEDI3014) as part of the Bachelor of Medicine. She is also part of the development of the new Bachelor of Public and Community Health (BPCH) due to roll out in 2020. The BPCH program has been selected as the Faculty “prototype” for the NeW Education Framework. Ms Dundas is passionate about helping all students (and professionals) who want to become educated citizens, understand the true meaning of public health and it's scope within communities beyond the health sector. Ms Dundas is undertaking a PhD with the SMPH thesis titled “Teaching public health in Australia”. Kate Dundas, Vibeke Hansen, Sue Outram, Erica L James . A 'light bulb moment' in understanding public health: Evaluation of the 'This is Public Health’ photo essay and reflective task by undergraduate students. World Congress on Public Health 2017 Digital Poster. Outram S, Dundas K. An Invitation to Join the “This is Public Health Sticker Campaign”. ANZAHPE 11. Alice Springs, July 2011. Outram S, Dundas K. This is public health campaign. ANAPHI teaching and learning conference, Canberra, August 2009. Outram S, Dundas K. Engaging health professional students in a multidisciplinary core public health course: Who has the answer? ANAPHI teaching and learning conference, Canberra, October 2008. 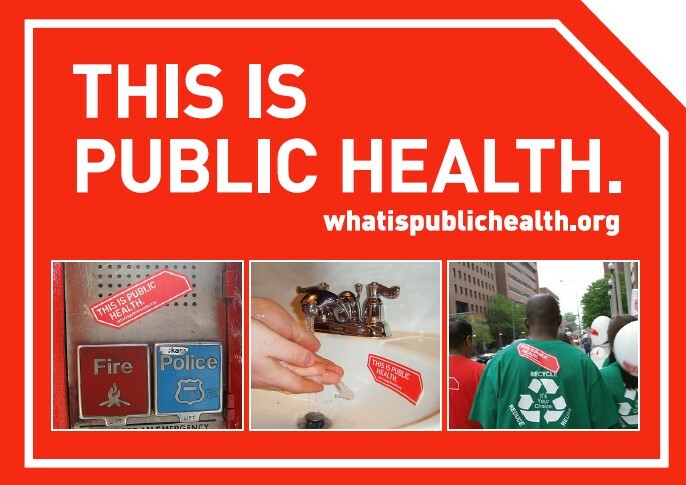 The This is Public Health (TIPH) campaign was created by the Association of Schools and Programs of Public Health (ASPPH) to brand public health and raise awareness of how public health affects individuals, families, communities, and populations. The simple statement – This is Public Health - has proven to be a powerful tool in raising awareness about and support for public health efforts. The University of Newcastle joined the campaign in 2008 operationalising this across multiple allied health and education degrees.